Swedish police have been criticized by locals for allegedly failing to adequately respond to riots in the Stockholm suburb of Rinkeby on Monday which resulted in several burnt-out cars, aggravated thefts and assaults. No-one has been arrested over the riots. Between 30-50 people were involved in the unrest which broke out at around 8pm on Monday following the arrest of a wanted person at a metro station in the area, according to police. Police fired several warning shots when people began setting cars on fire, throwing stones and looting local stores. A police officer and a journalist were injured in the clashes and taken to hospital. Authorities say the situation was brought under control shortly after midnight by an increased police presence in the area, with no further disturbances reported. 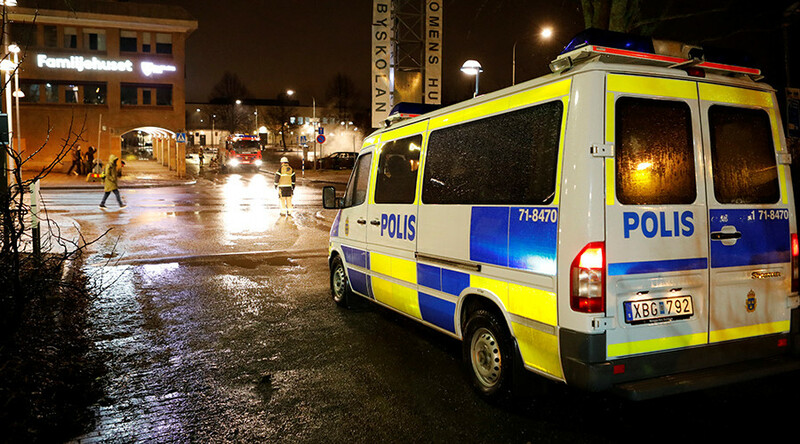 However, residents have criticized the police for waiting too long before taking action against the rioters, reports Dagens Nyheter. The incident also sparked a heated debate online over what constitutes a ‘no-go’ zone, often used by the media when referring to disadvantaged suburbs.